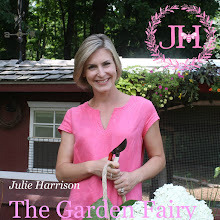 Julie The Garden Fairy: In the mood? Many designers use a mood board to focus their attention towards a certain goal. A mood board is a poster or bulletin board of sorts that collects photos, textures, quotes, and whatever moves the designer. Many interior decorators and fashion designers use mood boards- and I think landscape designers can gain a lot from using them too. With an effective landscape tickling so many of our senses, a designer needs to focus in on what’s really important. I have seen many gardens that simply have ‘too much going on’ and end up being distracting and ineffective. I have used folders like this one hold images and snippets that I’ve collected along the way- but when I’m designing, I need to see them in front of me. I’m notorious for pinning photos of inspiration on the wall in front of my desk. A mood board is a more sophisticated way of doing this- and you might find it helpful as well. This Monday- February 27th I will demonstrate how to create a mood board on WFSB’s Better Connecticut. Tune in at 3pm to watch but if you miss it, I’ll post it here Monday afternoon. In the meantime… start collecting your inspiration!